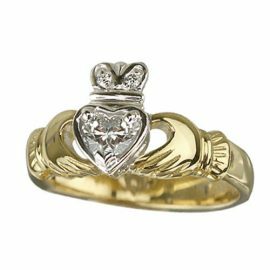 Solvar Irish themed jewelry is designed to draw inspiration from Ireland’s rich past by using unique Celtic icons such as the Claddagh. 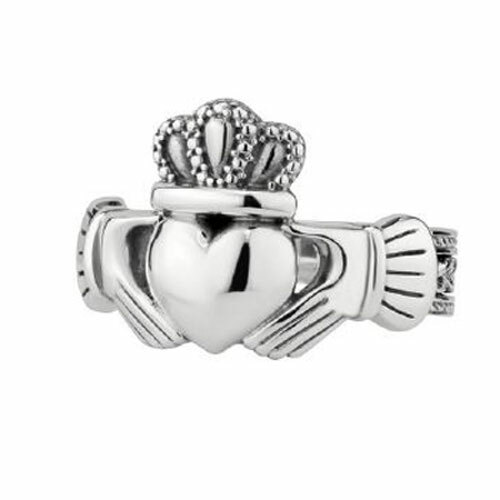 This Claddagh band is part of the Solvar new men’s collection and is available in sterling silver with an oxidized background on the band. 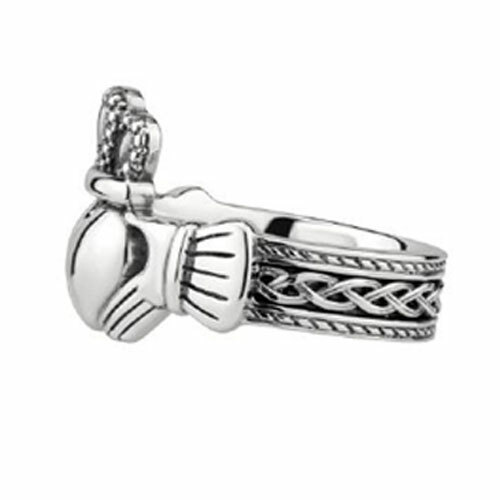 The Claddagh is flanked by an eternity knot design that circles the entire ring. 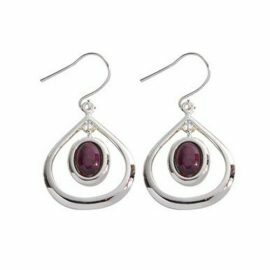 We stock a variety of Solvar jewelry. 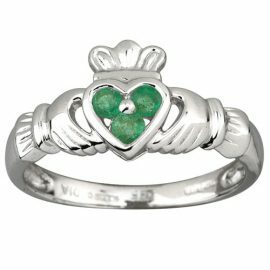 If the item ordered is in stock at our store location, it will be shipped within 2 - 3 business days. 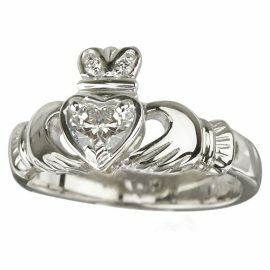 If not, this item will ship in approximately 10 business days. 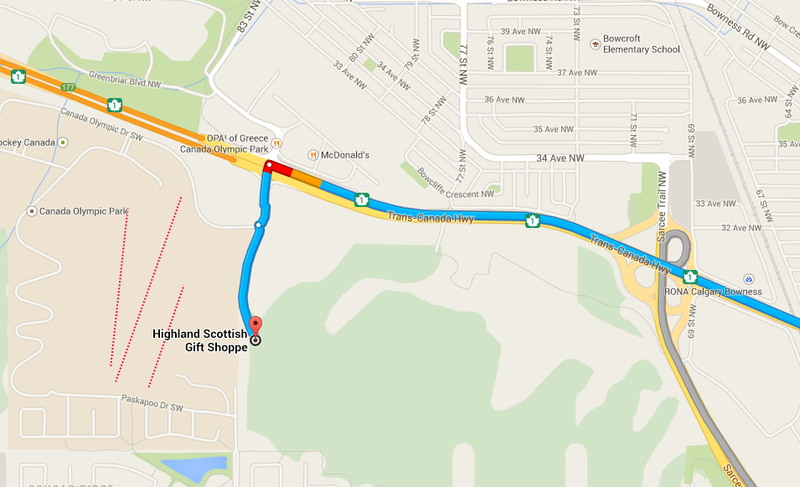 Upon shipping, delivery time to your specific location is per Canada Post guidelines based on the Shipping method you requested. 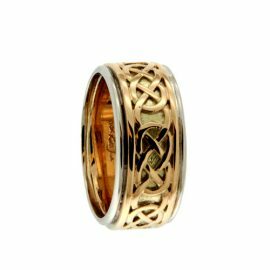 The “Moidart” is a raised five fold Celtic knot that circles the entire ring. 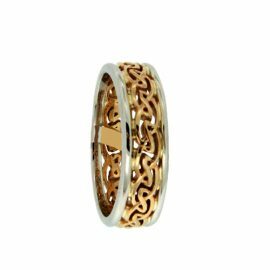 Like the “Belston” but looking for a more substantial ring? 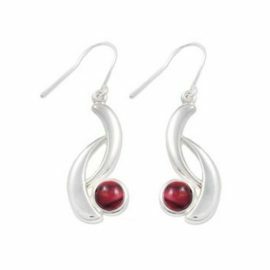 The additional rails on this design may be what you’re looking for. 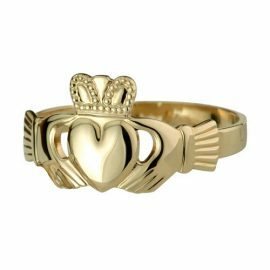 The Ladies Claddagh with Hallowed Back gold ring by Solvar is available in 14kt yellow or white gold.